It took me three goes to type ‘greyhound’ and ‘objections’ in the same sentence. My hands seized at the keyboard, clouds swept over the sun and somewhere in the distance, a lonely hound howled. Those two words don’t go together. But sometimes, I hear them - from friends, family, people in the street. Greyhounds as pets? Aren’t they racing dogs? 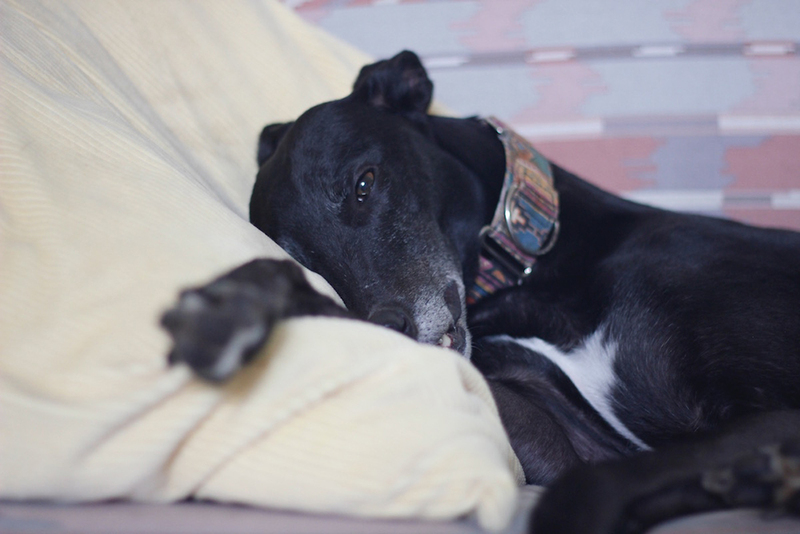 I’m set on a puppy - retired greyhounds are too old. But aren’t greyhounds kinda scary? While everyone’s entitled to an opinion, for the next 3 minutes - it’s dogmatic greyhound love or nuttin’. Already a greyhound convert? Yeah! Spread the word! Share this post! Disagree? Have your mind changed TODAY at the GAPSA adoption day (starts at 2pm!). But… I want a puppy! Lean in, listen closely - I have to whisper for fear of retribution. Puppies are overrated. Cute for a couple of weeks, that powder puff of domestic destruction will devour everything in its path. Failing that, pee on it. Wanting a dog that’s ‘yours from the start’ is a common refrain, but the difference is negligible. 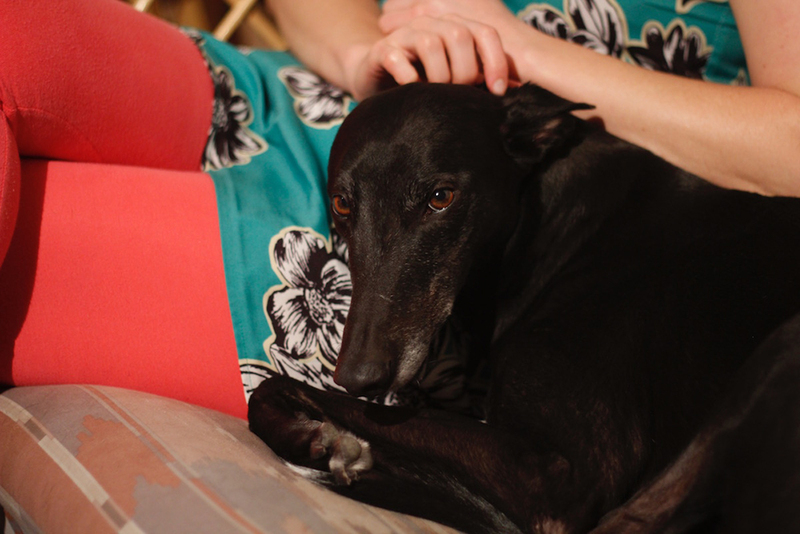 Greyhounds adore their owners like no other breed - regardless of age. One meal and a soft bed is all it takes to cement their love forever. The biggest perk of adopting a NON puppy? They’ve got their perfectly formed stools together. But… I want a designer breed! Greyhounds are the original designer dog. One of the oldest breeds in existence, they’ve been seen by the side of pharaohs (Hatshepsut, Tutankhamun), pompous royals (Prince Albert, Queen Victoria), celebrities (Twiggy, Leona Lewis), crazy generals (Alexander the Great) and pop-culture icons (Bart Simpson, Matt Groening). What were you saying about canine cred? Like a clothes horse, greyhounds fold neatly away for your convenience. Their long limbs and supermodel torso slot into any sized space - your lap, your enviro car, your armchair, your every cell. Coupled with their relaxed demeanour and absurd unobtrusiveness, greyhounds thrive in the smallest of houses. No biggie. But… they need a lot of exercise. Greyhounds opt for quality over quantity. Short and snappy daily strolls or a few hot laps around the backyard will zonk them for the next 23.5 hours. Some call them lazy. Others, efficient. 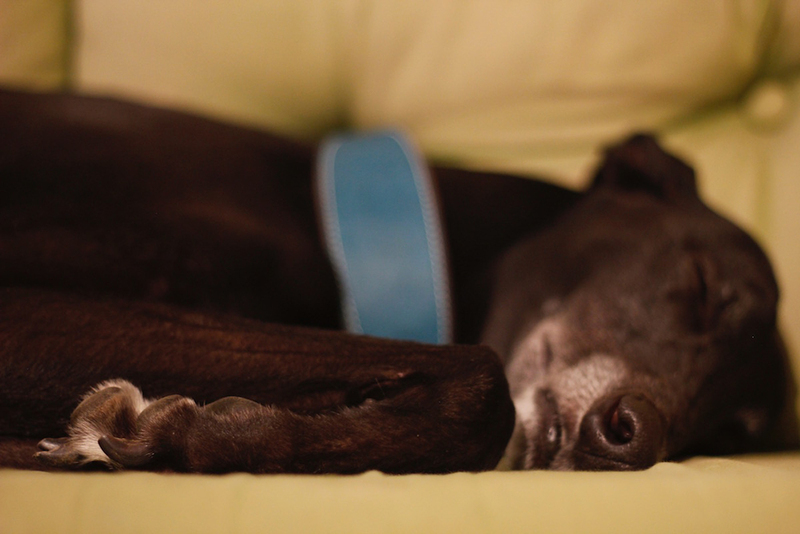 Whatever the word, greyhounds are low maintenance dogs whose speed doesn’t reflect their need for exercise. But… they don’t make good pets. Define good pet? 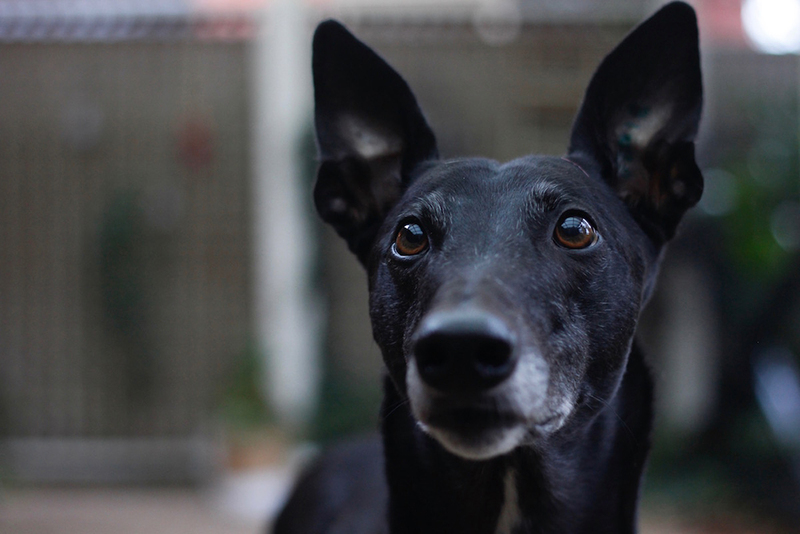 Here are some words that spring to mind: kind, loyal, lovable, loving, clean, unobtrusive, friendly, delightful, happy to ride in the car, house trained, soft, silky, low-maintenance, great company, black fur, pointy, has two white socks, long licorice strip tail, is from GAPSA, is named Dave... Dave! Get out of it! Beauty is in the eye of the leash-holder. Greyhounds are unique, elegant, delicate and sleek - a look fetishised by fashion houses across the world. Even if you don’t find their style appealing, they’re beautiful on the inside, which is where it counts. 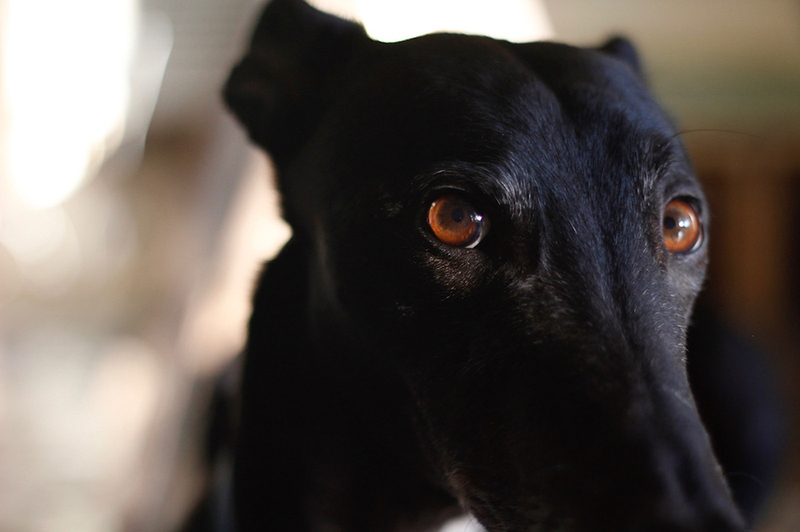 Most greyhounds come up for adoption between two and five years old. What a treat! They’ve got the chewy, toothy, bouncy, boisterous stuff out of the way and are smack-bang in the best-dog-ever age bracket. Sometimes, older dogs are available too - and equally deserving of love. They may sport errant grey hairs and a slightly slower pace, but senior dogs come packaged with wisdom, charisma and refreshingly chilled demeanour. Age is an attitude. Please adjust yours. But… we have a cat! Greyhounds can cohabit with cats. Some are small-animal friendly and will be matched with homes containing fluffy critters. Just let the GAPSA gurus know what you need and a hound will magically materialise (results may vary). I can’t even. You better watch this. Hurrah! Isn’t that great? They don’t smell - thanks to an oil-free coat and higher hygiene standards than your mother-in-law. Coupled with a dislike of temperature extremes and a desire to be close to you at all times, keeping them inside is recommended. Great news for people with small yards or urban homes - your grey won’t mind at all. But… they might jump the fence? They’re tall, athletic… and totally ignorant of their own potential. Greyhounds don’t jump. The only time I’ve seen Dave pogo pup is at the back door, welcoming me home after 10 minutes of separation. He baulks at the slightest crack in the pavement. He’s as precious as a petal. And has zero incentive to ever flee his food-filled nest. A tallish fence is required - but a mighty one with barbed-wire trim? No sir. 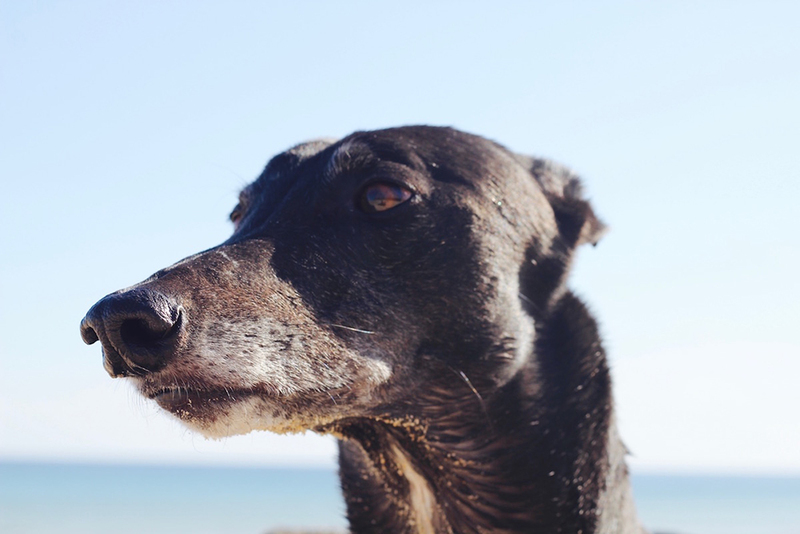 If you’re now staring wistfully out the window imagining life with a hound - we don’t blame you. They make the ultimate pet, and Dave and I think every Aussie home should have one. Get your derriere down to the GAPSA adoption day - happening in a few short hours here in Adelaide - to meet the hound of your dreams. All the details can be found on the Facebook event page. In the meantime, share this post far and wide to build an army of raving greyhound fans! A peaceful, pup-loving, particularly classy army with one thing in common: faaaabulous taste in dogs.